THE bad news is that community-acquired Staphylococcus aureus bloodstream infections (CA-SABs) are on the rise in Australia to the tune of 6– 8% annually, according to new research, but the good news is that most seem to be methicillin-susceptible. Unlike most health care-acquired S. aureus bloodstream infections (HA-CABs), which are methicillin-resistant, CA-SABs respond well to first-line antibiotics such as beta-lactams like flucloxacillin. “[Those drugs are] readily available and most clinicians would be able to prescribe them as a first line agent,” said Associate Professor Leon Worth, Acting Director of the Victorian Healthcare Associated Infection Surveillance (VICNISS) Coordinating Centre. Associate Professor Worth and colleagues were the researchers behind the new study, published by the MJA. They analysed quarterly data for the period 1 January 2011 to 31 December 2016 from 93 Victorian public hospitals and 58 Western Australian public hospitals. A total of 10 320 SAB events were reported (7262 in Victoria, 3058 in WA); 6800 infections (65.9%) were community-associated, corresponding to an aggregate crude rate of 13.3 CA-SABs per 100 000 person-years. The incidence in each state increased significantly during the study period: 8% per year in Victoria and 6% per year in WA. Most CA-SABs (5698, 83.8%) were caused by methicillin-susceptible S. aureus. “We were quite surprised by that,” said Associate Professor Worth, speaking in MJA podcast. In another surprise result, the authors found that the incidence of CA-SABs was higher among older patients and in men, and was particularly high for men aged over 60 years, who contracted a CA-SAB at twice the rate of women of the same age. “Younger patients were not so represented in these events captured by surveillance,” said Associate Professor Worth. “And that’s a little surprising for community-onset events. “Historically, one of the risk factors [for community-acquired infections] is intravenous drug-using patients in the community who are at high risk of both staph colonisation, as well as the development of S. aureus bacteraemia. While HA-CABs are more often than not methicillin-resistant, requiring second line antibiotics such as vancomycin, CA-CABs were often more complicated in their path, with a higher mortality rate, according to Associate Professor Worth. “The HA-CAB group is traditionally associated with patients who are, obviously, in health care, whether that’s an inpatient in a hospital or an outpatient receiving care or ambulatory care as part of a program in the community that’s associated with the hospital,” he told InSight+. “And these patients tend to have an in-dwelling medical device in most instances – whether that’s a haemodialysis catheter or a central venous catheter or even just a peripheral venous cannula for delivery of care. “They may also have had an invasive procedure or a surgical intervention in the very recent time period, and that’s what defines it as being health care associated. “The CA-SAB group, however, is quite different,” said Associate Professor Worth. “These are patients who are residing in a community context who have not had recent contact with health care. 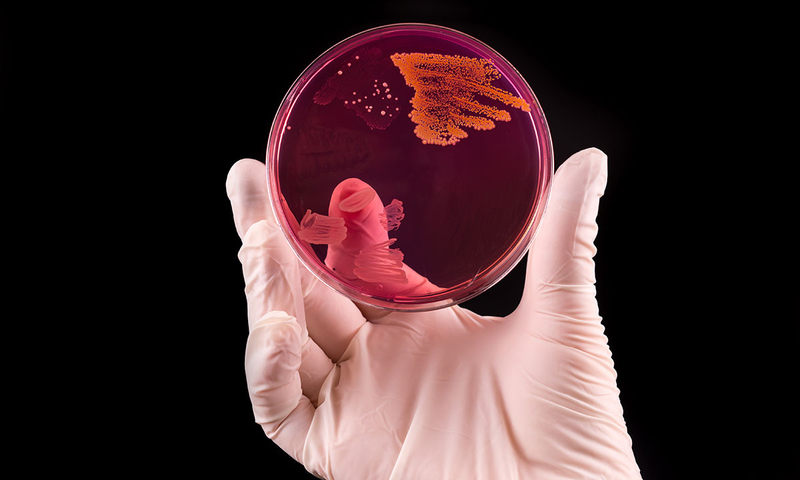 These patients historically present with often quite severe infections and sometimes more complicated infections than those that occur within health care. So, despite being methicillin-susceptible S. aureus infections, community-acquired bacteraemia can often be the more complicated infections to treat, he said. The other bad news is that Associate Professor Worth and colleagues believe they have probably underestimated the incidence of CA-SABs. “Absolutely,” said Associate Professor Worth. “We know that some patients will be entirely managed within the private health care system, and at the time of writing this report, the VICNISS group, as well as the Western Australian group, were focused upon the public hospitals and the collation of data through these avenues. So, why is the rate of CA-SABs increasing? “I think there’s something to do with the host and there’s something to do with the organism,” said Associate Professor Worth. “[In terms of] the host, it may be that we’re seeing more immunocompromised patients now living at home and in the community. They may have a chronic illness that isn’t particularly requiring them to have frequent contact with the health care system. “Yet, nonetheless, they are at increased risk while in the community. “As to the organism, there may well be virulence factors that are yet to be defined in these methicillin-susceptible isolates. “That leads us neatly into suggestions as to what our next steps would be. And one of these would indeed be to engage some further laboratory insights into the virulence factors and even the relatedness of these organisms to know whether we’re dealing with a clone or a group of like organisms. “We need to know whether there are specific risks to patients in the community who are developing these very significant infections. “It may be that [the patient may have] skin and soft tissue infections that are predating their bacteraemia, and maybe these patients are colonised with S. aureus. It’s back to the lab, then? Perhaps a greater Practitioner inclination to have blood cultures and sensitivities performed, could help. Prof Worth’s good news may be even more a curate’s egg. If his team had looked a little wider, and if the MJA had not rejected the work from the Northern Territory concerning S aureus susceptibilities that it did in 2018, (and that will publish in Pathology next April), they’d have known that in parts of the more remote Australia, those staphs, community dwellers all, exhibit MR at 50% prevalence. The finding prompts the to be published comment: “Antibiotic recommendations therefore now need to be tailored according to local antibiograms and where the prevalence of MRSA approaches 50%, empiric β-lactam based therapy may no longer be the best option.” Alternatives will be suggested, but the MJA’S readers will have to wait until April to read them.